Our All-Out class is a great time for family members to participate in Tae Kwon Do together. Parents and children alike work together building each other up as they strive towards similar goals. Taught in a fun, safe environment, our classes push students physically, while teaching the tenets of Tae Kwon Do. This has helped families grow closer which builds stronger communities. For ages 8 and up, all belt levels: The All-Out program caters to youth, adults, families and kids ages 8 and up. With everything from the basics to advanced techniques, this class offers broad understanding of Tae Kwon Do and an opportunity to exercise and be involved with other members of the community. Tae Kwon Do helps the mature student remain (or become) fit. Mature students benefit from our evening class schedules and often bring their entire family to participate, making it a true family experience. As you join our classes you will find your classmates becoming friends that you depend on to encourage you and motivate you towards your personal best. Many people come in contact with martial arts first as children, and it can be hard for them to shake the feeling that martial arts is just for kids. Nothing could be further from the truth, however, and as an adult, there are plenty of benefits that you can gain from stepping on the mat and taking a shot at Tae Kwon Do. Plenty of adults take advantage of martial arts classes you will find that these classes have plenty to offer you. 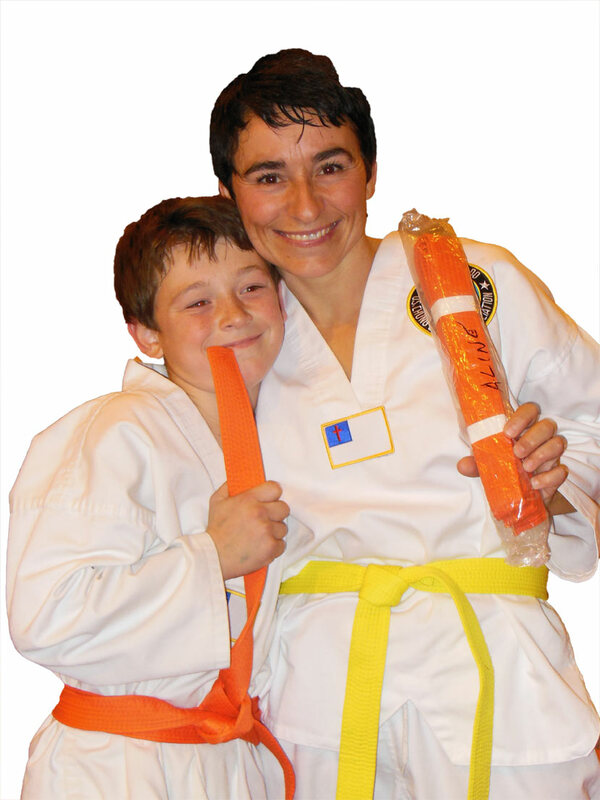 “Tae Kwon Do has also helped me have a way closer relationship with my son.Working out together, sweating together, and learning new things has helped strengthen the bond. I am there to see him work hard, but not just as a spectator watching from the side, I get to be a part of it. “I have gotten closer to my son and to my God. I would have to say it is making me a better person spiritually and physically.” – S.E. Classes are held Tuesdays at 6:00PM and Thursdays at 6:15PM. With open enrolment, you and your family can begin training today!